Jacqueline Mayer focuses on asset accumulation, retirement planning and estate preservation. As a professional advisor and consultant, Jackie takes a comprehensive, education based approach using creative problem solving and prudent planning strategies. She also assists with the selection, placement and monitoring of insurance and investments. In addition to her work with individual clients and their families, Jackie has been a speaker at national conventions, community organizations and local corporations on various financial planning topics. She has also presented to donor groups of local nonprofit organizations on charitable giving/estate planning strategies. Jackie previously authored a series of investment columns for The San Jose Business Journal, Senior Spectrum, and the Peninsula Times Tribune as well as selected articles for Financial Strategies and Concepts, Santa Clara Business, and the National Business Woman magazines. Also, she has been quoted in a diverse range of periodicals—the San Jose Mercury News, USA Today, Mature Outlook Newsletter, and Financial Planning magazine, among others, as well as appeared on separate segments of the PBS Financial Advisors series. Jackie holds CERTIFIED FINANCIAL PLANNER™ (CFP®certificant) and Chartered Life Underwriter (CLU) designations,and CA Insurance License #0628219. She holds a B.A. and M.A. degree from San Jose State University and has been a financial consultant and an investment advisor representative since the early 1980s. Jackie is active in local community and professional organizations including the Financial Planning Association, Santa Clara County Estate Planning Council, the Society of Financial Services Professionals, and the Silicon Valley Planned Giving Council. She is a past President of the Financial Planning Forum and a former Director for the Silicon Valley Chapter of the National Association of Women Business Owners. For a number of years she served on the El Camino Hospital Foundation Planned Giving Council and the Peninsula Community Foundation’s Professional Advisors Council. She currently is on the Board of Advisors for Adolescent Counseling Services and the Honorary Council for Peninsula Open Space Trust. 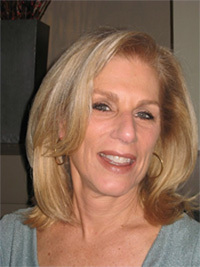 Jackie can be contacted at jmayer@mayeradvisory.com.